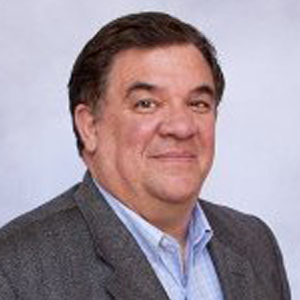 Joe Licavoli serves as the Business Accelerator Manager for SPARK East. In this role, Joe will provide on-site support and facilitate community relationships at our incubator located in Ypsilanti, while overseeing SPARK's current loan efforts. Prior to joining Ann Arbor SPARK, Joe was Senior Director of Ramsoft Systems. Prior to joining Ann Arbor SPARK, Joe was Senior Director of Ramsoft Systems. He has 27 years of experience in financial and human capital management, having previously led teams for Kelly Services, Covansys/CSC, and Synova. Joe is currently involved as a coach and mentor in several programs and cohorts in Ann Arbor, Ypsi and Detroit including DTD Launch Detroit, Connecting the Game Dev Community, AI and Machine Learning, Pitch Ypsi, and DTX Launch Detroit at TechTown, helping startup entrepreneurs perform customer discovery and customer validation projects. He previously was involved in the Michigan Shifting Gears program as a mentor working 1:1 with program attendees for networking opportunities, practice interviews, and career advice. Joe earned his Bachelor’s of Arts from Michigan State University’s Eli Broad College of Business.